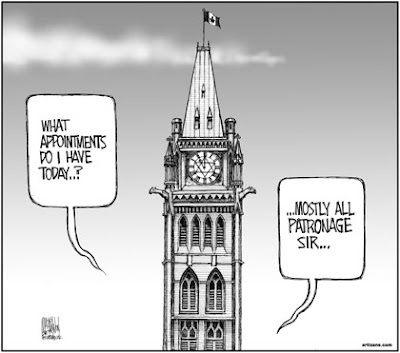 This week's featured editorial cartoons are all by Canadian cartoonists and focus on two political issues near and dear to Canadians' hearts: Senate appointments and election speculation. 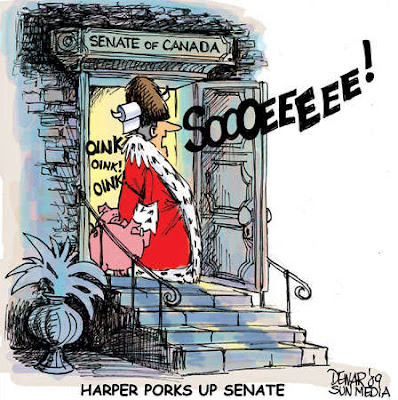 Funny, the PM, who once said he'd reform the Senate, has fallen right into line with his pork-barrelling predecessors. I don't get a lot of those.. not being in Canada and all.. but the last one cracked me up! Oh thank you NoName! These are hilarious and oh so true! 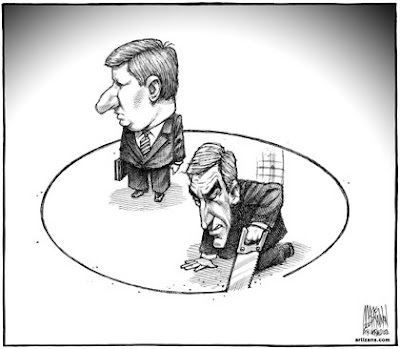 One thing about Canadian cartoonists, they do tell it like it is! 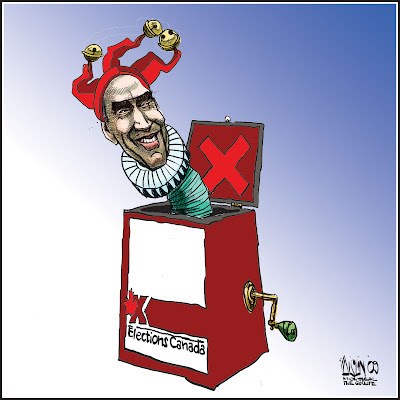 Not being at all familiar with Canadian politics, it seems that every time I turn around they are electing or re-electing someone for something. What's up with that? dizzblnd: Theyre pretty specific to Canada...but funny! Skye: I find it an interested way to follow the news. Don: Christ, man, it's our national sport. And it beats watching Canadian football! 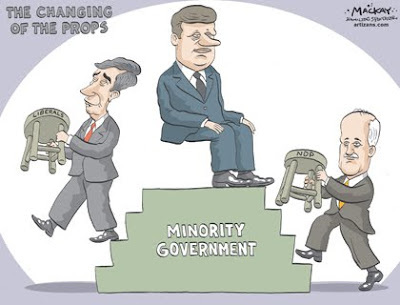 I, too, am ignorant of Canadian politics, but still can appreciate a sarcastic cartoon and these certainly fit the bill! Quirks: Don't feel bad Quirks. 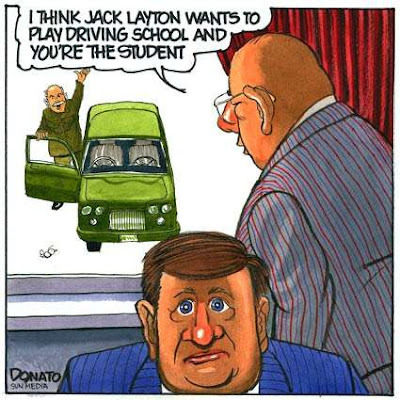 There's a lot of Canadians ignorant of Canadian politics.